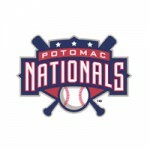 The Potomac Nationals (56-46, 18-15) completed their largest comeback of the season with an 11-8 victory over the Carolina Mudcats (48-54, 19-16) on Friday night at Pfitzner Stadium. 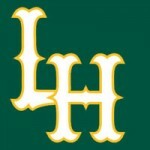 Will Skinner hit two home runs as part of the action at City Stadium Wednesday night to increase his team-leading total to eight, but the Lynchburg Hillcats came away with two losses when it was all said and done. The Potomac Nationals (35-28, 17-16) rallied past the Carolina Mudcats (27-35, 13-20) with three runs in the 8th inning on Monday evening at Five County Stadium to set the hook on a 5-4 victory in the series opener of a three-game road set. The Salem Red Sox got two dominant pitching performances from Corey Littrell and Justin Haley, leading the way to wins of 3-0 and 2-0 over the Mudcats Friday night in Zebulon. Luis Diaz picked up his second straight win by dealing seven superb innings, paving the way to a 3-2 Salem Red Sox victory on Wednesday night in Wilmington. 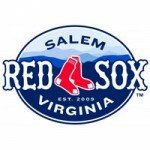 The Salem Red Sox came home from a season-opening road trip with a 4-0 mark, but faltered after taking two out of three against the Dash to start the homestand.